Apologies about the badly taken photos. Didn’t bring my trusty EOS so I used my dad’s iphone instead. Photo quality isn’t the best but the food there was pretty good so I’ve decided to post anyway. 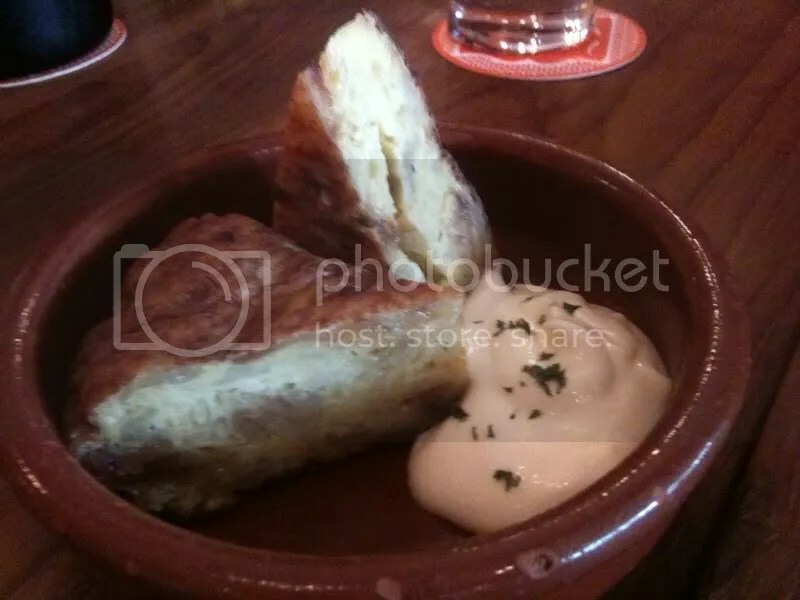 If you like Spanish food My Little Spanish Place should be under your radar. I like the homey rustic feel inside, made me feel like I just stepped into someone’s dream home. The food here is whipped up by a Spanish lady I hear, pity we didn’t get to meet her that day. I can’t remember the name of this one but it had a bit of everything. From juicy cubes of chicken and tender squid rings to huge prawns. Mega loved the saffron infused fat rice grains that absorbed all the stock it was cooked in. Rice was a little on the moist side but I like it that way. Scrape off some of that deliciously crunchy socarrat (the burnt bits of rice stuck to the pan! It’s not really burnt I feel, just hardened) and pair it with the soft rice. It was oh-so-addictive, especially the socarrat. Don’t be all health conscious like my mum 😛 The socarrat my friends, is the best part (and a distinctive characteristic) of good paella! 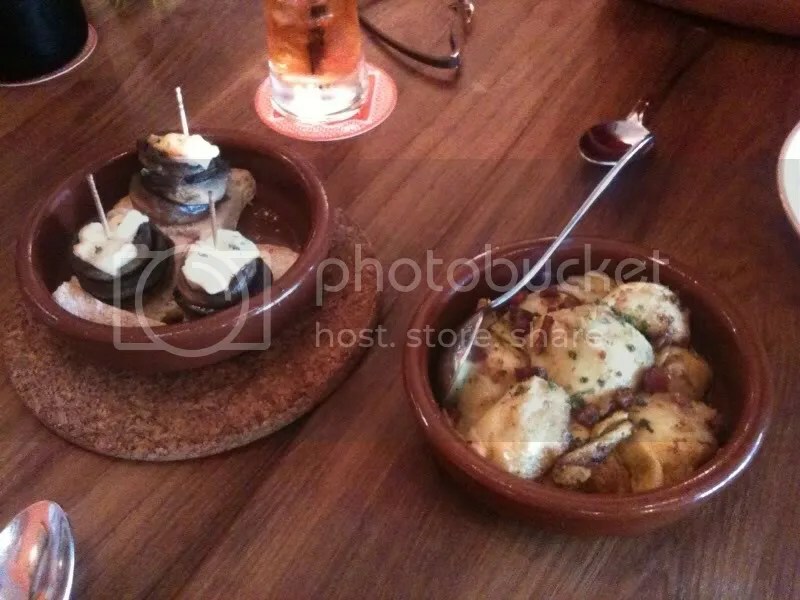 Our tapas included Portebellos on toast and Fried Artichokes. Fried Artichokes were quite sour, didn’t quite like them and neither did mum. Our spanish tortilla was pretty good. Basically it’s a thick fluffy omelette with potatos inside. 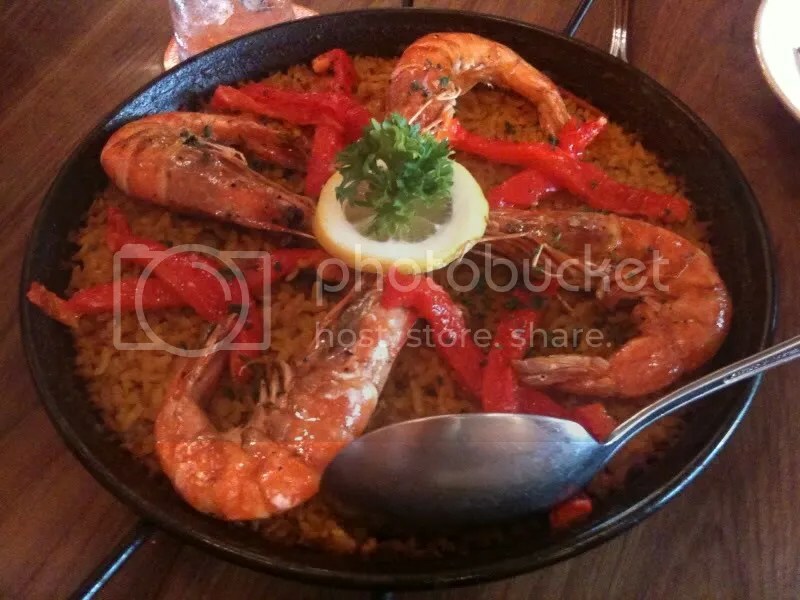 Do order the paella, it’s much better than don quijote’s in my opinion. Speaking of which I’ll be checking out the real deal in spain this june 😀 Can’t wait!